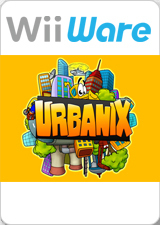 Welcome to Urbanix—a game inspired by classic computer games! You play as Urbanix, a tiny little tractor that has to build a town on an empty field. Avoid enemies and catch and chase away house crashers—they will try to spoil your game. Play on Earth, in the North Pole, or on the moon—all locations have different gameplay mechanics, therefore you will have to adapt your strategy. Be accurate, be quick, collect bonuses on your way, and you will be the winner! The graph below charts the compatibility with Urbanix since Dolphin's 2.0 release, listing revisions only where a compatibility change occurred. This page was last edited on 17 January 2018, at 08:13.